For how many hours you'd like to hire the Booth? Let us know the Theme or Colours of your event? 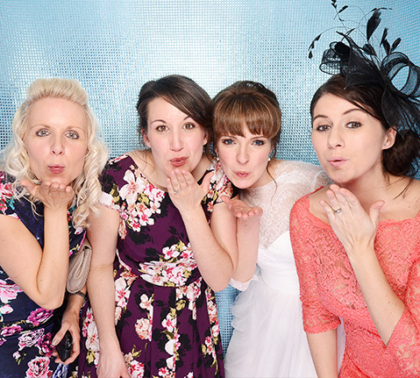 A £100 deposit is required at the time of booking the photo booth, the remaining balance is due 7 days prior to your event. Any request for a date change must be made in writing GoGo Photobooth. If the Client needs to cancel the booking, and give us more than 90 days notice we will refund the deposit minus a £50 cancellation fee. If the Client needs to cancel the booking and give us less than 90 days notice the deposit will not be refunded. If the Client needs to cancel their booking and give us less than 7 days notice the Client will be liable to still pay the full amount of the hire. Should the Client wish to rebook us for a future date we would credit the full amount of the booking deposit against a future event within 1 year, subject to availability. It is responsibility of the Client to ensure GoGo Photobooth are provided with the correct address, postcode and contact information for the venue and that the venue allows reasonable access for loading and suitable parking once the booth and equipment has been unloaded. If parking for loading is restricted the Client will be liable for any fines that occur as a result and or time used seeking a suitable location. GoGo Photobooth cannot be held responsible for any errors or delays resulting from incorrect or missing address details. The Client must ensure that we have at least an hour at the venue after our rental time for take down and removal of our equipment. GoGo Photobooth will not agree to a next day removal of equipment. Such a requirement will render the rental agreement void and result in the forfeiture of all payments received. GoGo Photobooth cannot be held responsible for any circumstances that may prevent us from attending your event; these may include but are not limited to, severe weather conditions, traffic delays, breakdown of our vehicles, sickness or equipment failure. In the case that we cannot attend or fulfil your hire due to events beyond our control we will contact you or the venue as soon as possible. In these instances our liability will be limited to the refunding all of monies paid. 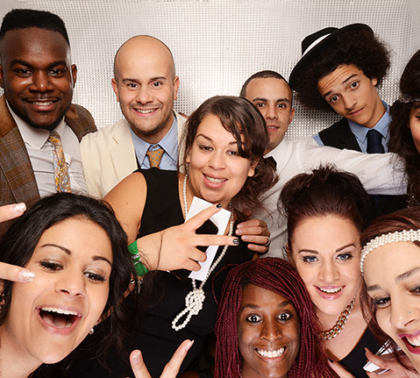 GoGo Photobooth will arrive to set up approximately 90 minutes before the hire period is due to commence. If the Client requires the booth to be set up earlier an idle time charge applies. 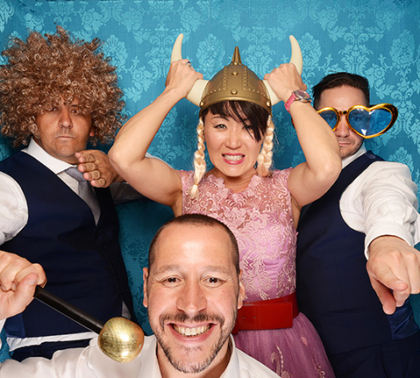 It is responsibility of the Client to ensure that the venue has agreed for GoGo Photobooth to be in attendance at their venue and at the agreed time. This also includes ensuring that there is access to enter the venue and enough space with a power socket nearby of where the services are to be. 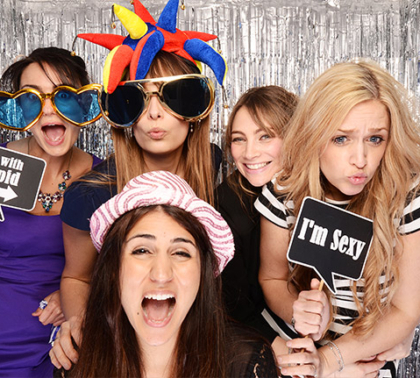 If there is insufficient space for the photo booth to set up the Client will still be charged the full hire amount. The Client is responsible to inform us of any circumstances that may make setting up take longer, these may include but are not exhaustive to; going upstairs, a long distance from unloading area to set-up area, restricted access. If we are not aware of these and the set-up takes longer than normal the hire period may be intruded into. The hire period will be for a set period, typically three hours, but as specified in the booking form and as agreed by both parties before. In addition this will cover the 90 minute setup time and 45 pack down time. For the comfort, health and safety of all concerned, there will be no smoking within or near the photobooth area of operation. No food or drink shall be taken into the photo booth or left unattended in the area of operation around the booth. GoGo Photobooth will not tolerate any abuse or threatening behavior to our staff. If this occurs GoGo Photobooth retain the right to terminate the hire, with no refund payable for hire time that has been cut short. We are providing a service to you , our staff should be treated with the respect they deserve. GoGo Photobooth also retain the right to terminate a hire if they feel that any equipment or property belonging to GoGo Photobooth is in danger of being damaged or has been damaged due to unruly behavior from the Client. We also reserve the right to refuse guests to participate in the activities if we feel they are too unruly. The Client will be fully responsible for any damages caused by the client or any other attendees at the event to the photo booth or booth equipment howsoever caused, with the sole exclusion of GoGo Photobooth staff. In the event of any damages caused by those present to property or equipment in use by GoGo Photobooth, the Client will be charged the full replacement cost and are liable to cost involved in termination of future events due to sourcing replacements. Any damages must be reported to a member of GoGo Photobooth staff immediately. The Client agrees that all images taken in the photo booth can be uploaded to a web gallery public or private unless otherwise stated on the booking form and exempt GoGo Photobooth of any responsibility from publishing the images. With respect to any images taken in a GoGo Photobooth photo booth of the Client, during use of the services, the Client grant us a world-wide, royalty free and non-exclusive license to reproduce, modify, adapt and publish such photographs for the purpose of displaying, distributing and promoting the specific gallery unless private and to which such images were submitted and to use these photographs for advertising and promotional purposes in connection with GoGo Photobooth. We will not use any images that we think may cause offence or embarrassment to the people in them and retain the right to delete images we decide maybe inappropriate or offensive. We will immediately remove any picture from our website if requested to. By ticking this box you are agreeing to all terms and conditions and understand that this agreement is binding.